In a move that could offer huge relief to the congested Krantivira Sangolli Rayanna (KSR) and the Yesvantpur railway stations, work to construct the third coaching terminal at Baiyappanahalli has commenced. Trains can start and terminate here from December this year. The coaching terminal will be located 3 km away from the present Baiyappanahalli railway station. Trains will continue to stop here too. According to senior railway officials of the South Western Railway Zone, three platforms will be constructed under the first phase of the project, the cost of which has now been revised to Rs.150 crore from Rs.118 crore. “Three pitlines (maintenance work), three stabling lines (where trains will be parked) and one sick line (trains in a state of repair will be set right here) are being built under this phase,” a top official said. “Work on construction of pitlines and platforms has started presently. All the infrastructure is expected to be in place by December 2019,” he added. Ticket issuing counters and all other infrastructural facilities required to start trains here will be set up. The coaching terminal will come up on 20 acres of railway land, another official said. Except trains heading towards the Mysuru direction, there is a possibility of trains going in all other directions to arrive and depart from Baiyappanahalli.“When the terminal is ready, it will ease much of the pressure on City railway station from where 142 trains depart on a daily basis and Yesvantpur from where 95 trains depart daily. 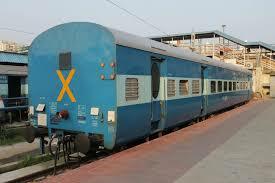 The decision on the specific trains that can arrive and depart here will be taken later,” said divisional railway manager, Bengaluru railway division R S Saxena. When the Second Phase, which is slated for December 2019 is completed, the station will have seven platforms, another official said.The Ministry of Railways had also declared Baiyappanahalli as a Model Railway station. “After we complete our work or even simultaneously when our work is on, the Centre will work towards upgrading the railway station as a world class railway station,” the official said. The operational aspects will be put in place by the SWR while the Centre will take care of all the aesthetics aspects.